Workshop on Banking, Corruption and Money Laundering for Industrial and Commercial Bank of China, sponsored by the Center for Excellence in Public Leadership, George Washington University. Fundraising to complete our new “Follow the Money” anti-corruption videogame training simulation and make it available to developing/transitional countries. RGI Grant Proposal – DigitalVersion – 050315. The game is being created with the aid of professors and students of Drexel University, and Skyless Game Studios located in Drexel’s Baiada Institute. It will be the newest, most efficient way to train large numbers of law enforcement and other personnel on techniques to investigate corruption, money laundering and terrorist financing schemes. Watch the trailer below for a sneak preview of “Follow The Money”. 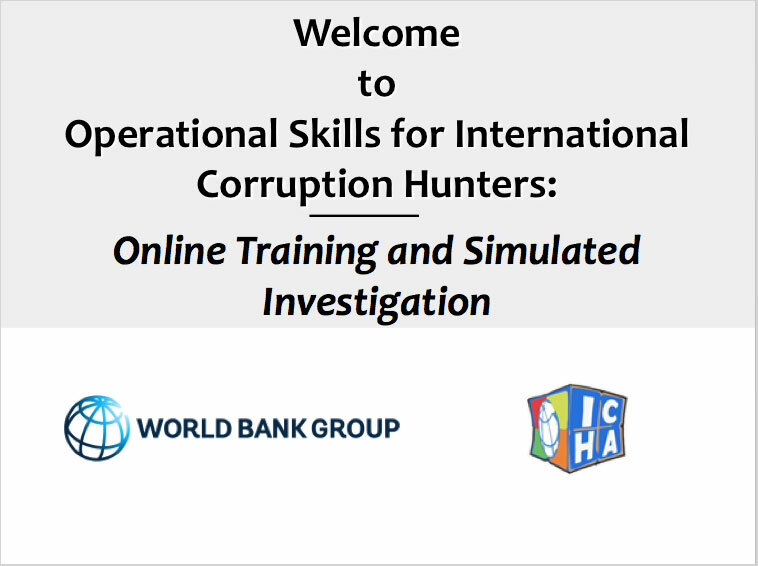 Delivery of 2-week online anti-corruption simulation exercise, Operational Skills for Corruption Hunters. 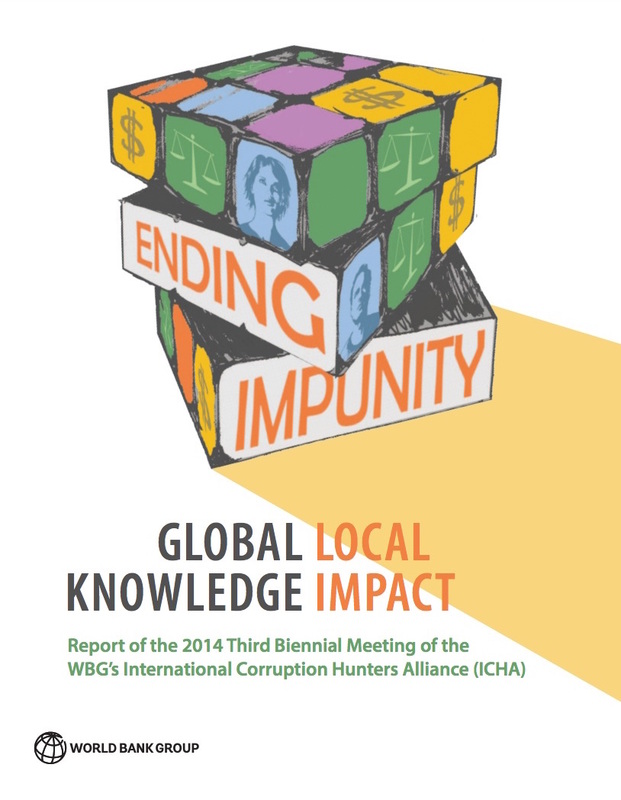 The platform was developed for the World Bank’s Integrity Vice Presidency (INT) in collaboration with Simulation Experts from the University Of Maryland ICONS program, and designed to train 4 teams of 5 persons each, from the 135 countries belonging to the International Corruption Hunters Alliance. The training consists of a simulated investigation that involves a complex financial corruption scenario, asset tracing, money laundering, confiscation of the illicit proceeds, evidence organization and trial preparation. Drafting new book for publication in 2018, that examines the historical role of corruption and offers solutions to modern problems of inequality, joblessness and declining prosperity for the 99 percenters. Creating and delivering workshops as requested by Development and Anti-Corruption Agencies. Providing consulting advice and assistance on governance, money-laundering and asset recovery issues upon request of country governments and international agencies. Delivery of a 2-week online anti-corruption simulation exercise, Operational Skills for Corruption Hunters, to 4 groups of officials in Domenican Republic, Costa Rica, Peru and Chile. The platform was developed for the World Bank’s Integrity Vice Presidency (INT) in collaboration with Simulation Experts from the University Of Maryland ICONS program. Delivery of a 2-week online anti-corruption simulation exercise, Operational Skills for Corruption Hunters, to 3 groups of officials in Singapore and the Philippines. The platform was developed for the World Bank’s Integrity Vice Presidency (INT) in collaboration with Simulation Experts from the University Of Maryland ICONS program. 3 credit course, George Washington University Law School, International Money Laundering, Corruption and Terrorism. Presentation: 90 minute demonstration of our new 40 hour online training platform, Operational Skills for International Corruption Hunters, at the 2014 meeting of the International Corruption Hunters Alliance. Completed 1-week prototype test with four countries for new online anti-corruption training developed for the International Corruption Hunters Alliance – Operational Skills for International Corruption Hunters. Presentation, NATO Building Integrity Discipline Conference, Mons, Belgium – Using Active Learning, Simulations and Video Games to Strengthen Integrity in the Defense Sector. Presentation, 4th Annual Anti-Corruption Academic Initiative held in conjunction with the Fifth session of the Conference of the State Parties to the United Nations Convention against Corruption (UNCAC CoSP5), Panama City, Panama – Using Active Learning, Simulations and Video Games to Energize Anti-Corruption Instruction. 3 credit course – George Washington University Law School, International Money laundering, Corruption and Terrorism. RGI Executive Director Jack Smith received the John Marshall Award from Attorney General Eric Holder at the Attorney General’s Sixtieth Annual Awards Ceremony at Constitution Hall, Washington, DC. 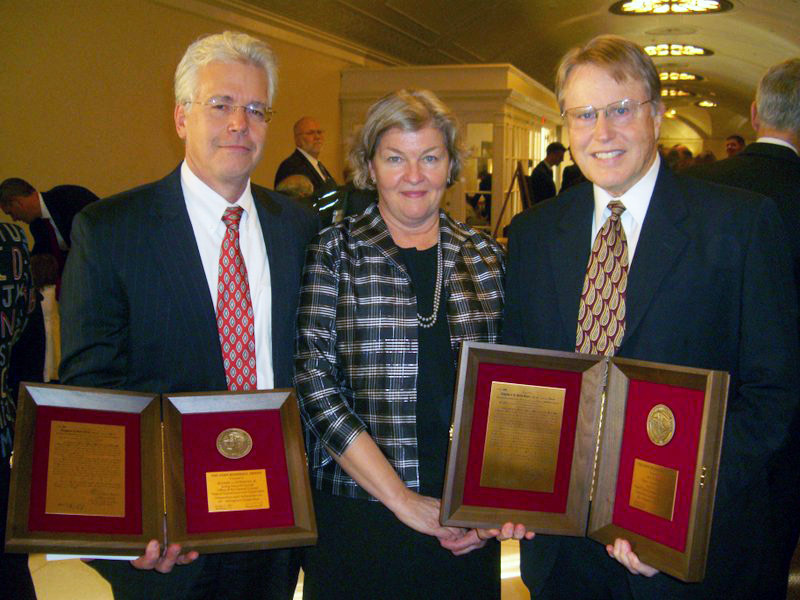 The award recognized Mr. Smith and his team of FDIC attorneys for extraordinary assistance to the Department of Justice in defense of 120 cases seeking more than $32 billion in damages from the US government. This unique cooperation resulted in reducing plaintiffs awards by 93% and serves as a model for defending litigation against the government. 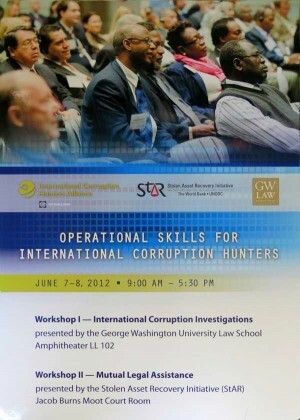 RGI conducted a two-day workshop for 90 participants from the 134 nation International Corruption Hunters Alliance in conjunction with their Second Biennial Meeting in Washington, DC – Operational Skills for International Corruption Hunters. The workshop was hosted by the International Corruption Hunters Alliance, Stolen Asset Recovery Initiative, the World Bank’ s Integrity Vice Presidency and GW Law school. Presentation, Antoinette Westphal College of Media Arts & Design, Drexel University – Corruption, The Root of All Evil. RGI officially registered with the Commonwealth of Pennsylvania as a Domestic Nonprofit Corporation (Entity Number 4094146).